1st Class Protection is a London based security company. They came to us to run their digital marketing campaign and make changes to the design of the website. We also helped them migrate the website over to their own hosting package. In the first 6 months of working with them, we have seen significant improvements in their ranking in Google and consequently increased their web traffic twofold. They are now appearing on page 1 for terms such as 'Security Companies UK', 'Security Companies', and 'Security Companies in London'. This has been a great success and the team at 1st Class Protection are very happy with what we have achieved so far. Enclothed are an online mens stylist service making shopping more personal. They approached us to work on their SEO to help position there brand higher up in the search results for broader competitive keywords. We are also writing articles for the blog on a timely basis to help target specific product type searches. Raj Tent Club creates an exotic range of Indian handmade canopies, pavilions and luxury wedding tents for hire & sale. We have been working with Liliana & Chris at Raj Tent Club on their SEO campaign for many years now. We have successfully positioned their business at the top of the search engine results pages for many key terms and phrases, helping to attract new business. 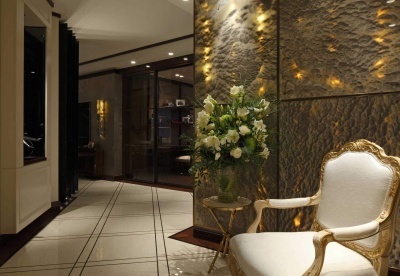 Casa Forma is an award winning luxury interior design firm based in London. Among many of their sumptuous design projects is One Hyde Park in Knightsbridge. We have been running Casa Forma’s digital marketing campaign since 2010. It has been a great pleasure working with them, as we feel very much a part of the team. Casa Forma included SEO in their overall marketing mix after realising that the website was a great way of successfully reaching a wider audience to market their services in the luxury interior and architectural design sectors. Union Artists is a UK based management company representing bands such as The Shires, music artists such as Andy Brown and broadcasters/DJ’s/presenters such as Jo Whiley. They approached us to run there SEO campaign as they wanted a more prominent web presence. We looked at their website and optimised it to appear in the search results for searches related to music management. This involved extensive web optimisation and content marketing work. Union Artists are now on page 1 for all related terms to music and artist management searches. Jan Stanek is a leading cosmetic surgeon who appeared on the hit TV series 10 Years Younger. He approached us to run his digital marketing campaign to leverage his online presence and attract new business.